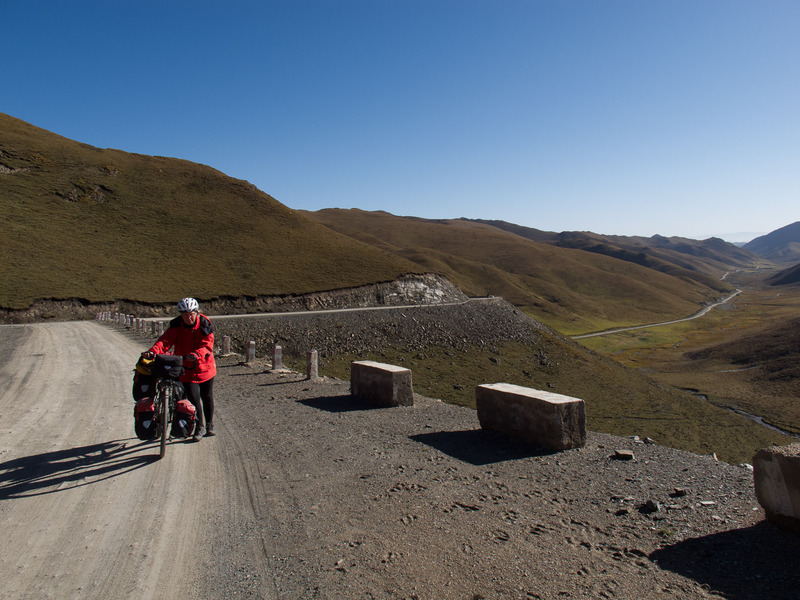 In September and October 2014 we travelled by bicycle in the Chinese provinces of Qinghai and Ghanzu. Why there? In what we call Tibet today (Tibetan autonomous region, TAR) it’s not allowed to cycle independantly. Ghanzu en Qinghai are part of the old kingdom of Tibet. Here the atmosphere is very Tibetan: lots of yaks, monasteries and Tibetans around and not too many Han Chinese. As a bonus it’s one of the least populated parts of China. The total distance we cycled was around 750 kms. We started and ended our trip in Xining. 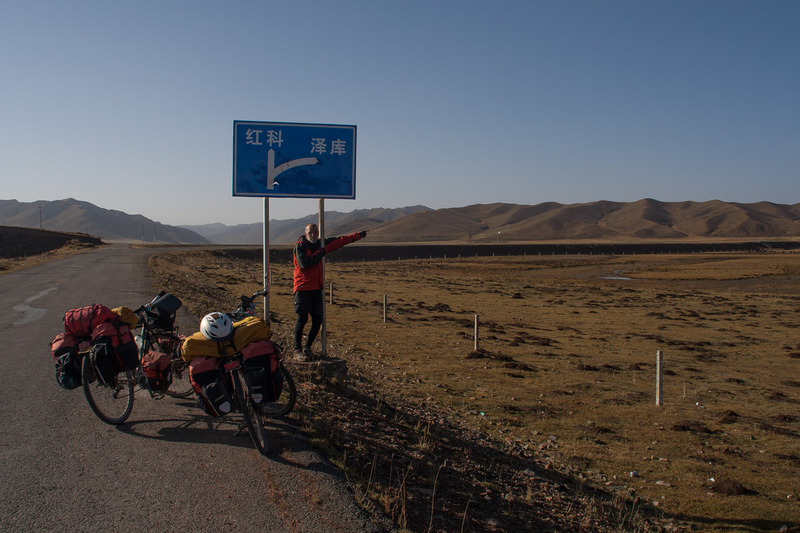 We cycled a loop from Xining southwards to Tongren, Xiahe, Zekog and Guide. Don’t choose this destination for your first cycling trip. 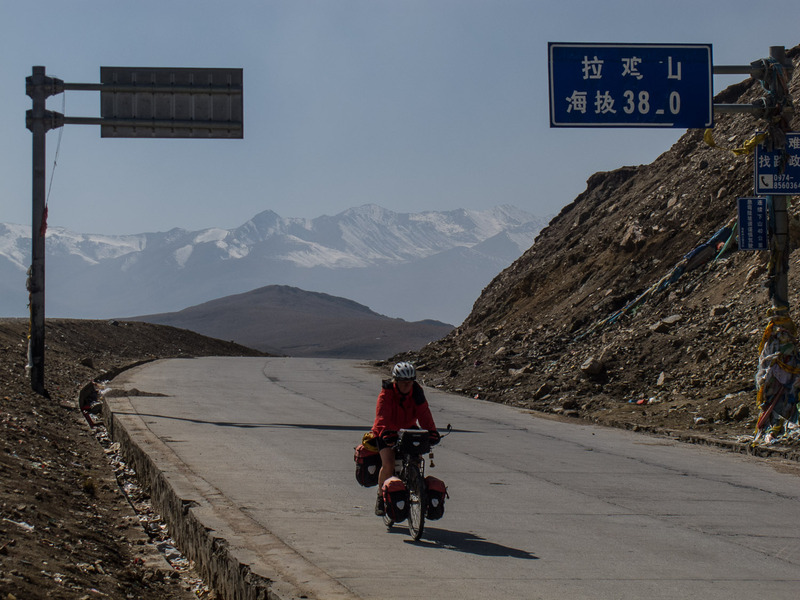 The combination of high altitude passes, a lot of free camping and limited villages along the road make cycling in this part of the world a challenge. 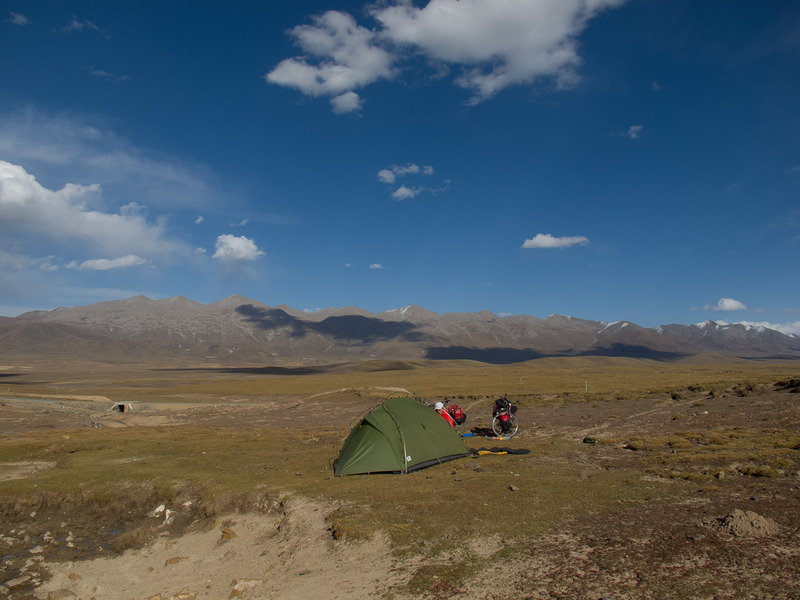 On this route we climbed nine passes, variering from 3600 to 4200 meters above sea level. And yes, often we had to walk the last part because it was too steep and / or because of lack of oxygen. We started our research on Google Maps and Google Earth. We used Open Street Map for our GPS. For a detailed overview of our route check out our route in China. As always in China, the names of villages were written in many different, sometimes confusing ways. As paper backups we used the Nelles Map of China North ( 1: 1.750.000). This map shows shaded relief, but no names in Chinese characters. So we also brought the only two maps for sale in Chinese in our home country. These maps together with the GPS gave us a pretty accurate idea of where we were and where we wanted to go. On Google Maps we discovered a road connecting the Sangke grasslands, south of Xiahe, with the main road leading to Zekog, which was on neither of our maps. In Xiahe, in the Snow Mountain Cafe, they had a map showing this missing link. The map was not for sale in Xiahe, so we photographed this part. We downloaded chapters of the Lonely Planet China guide for general travel information. Don’t expect to find many English speaking locals in this part of the world. 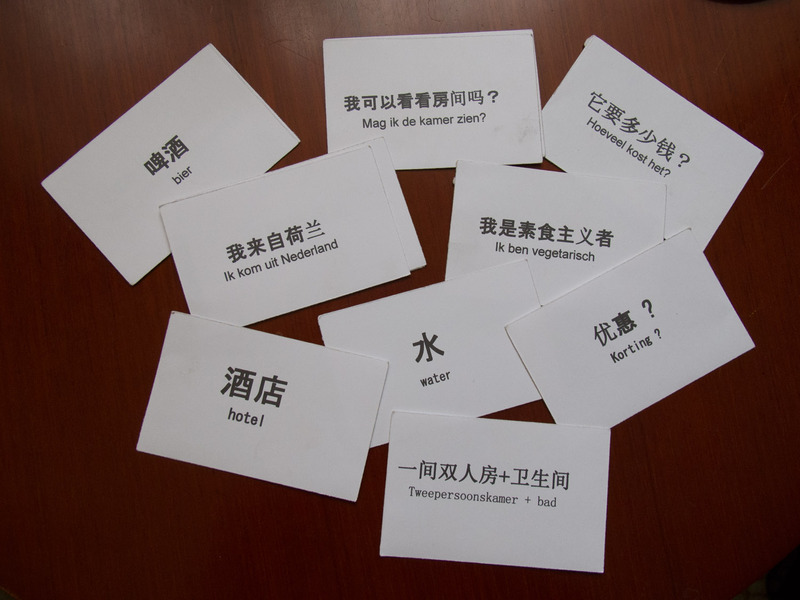 Most people only speak Chinese (or one of the numerous dialects) or Tibetan. We carried the Lonely Planet phrasebook China, which also includes a chapter in Tibetan. More useful were the small cards we produced at home with phrases we used a lot, like: “can I see the room”, “how much does it cost” and “we are vegetarians”. Showing only one question and not handing over a complete phrasebook simplified communication a lot. We also used Google Translate offline. You can install a language on your smartphone, so you don’t need Wifi for communication. Not all translations seemed to be accurate. When we asked for a glass to drink our can of beer we got another beer in a bottle. And when someone started to interview us with the use of Google Translate, some questions were quite incomprehensable. Still, it helped a lot. Only the roads in and out of Xining are busy. No wonder, as in this relatively small Chinese city there are still 1.2 million people living. Apart from the first and last day of cycling the roads were quiet. Most of the roads are paved and in pretty good condition. The spur connecting the Sangke Grasslands with the main road to Zekog was unpaved, containing lots of stones and partly probably not suitable for cyclists in wet conditions. To read the signposts you have to recognise the name of your destination in Chinese characters. That’s why you need a map in Chinese characters. Don’t count on covering large distances. The many passes in this route, combined with the altitude, slow you down significantly. We fetched water from water taps in villages or used our water filter when we extracted water from streams. We also bought bottled water in shops. It’s often available, but not always, so don’t count on it. 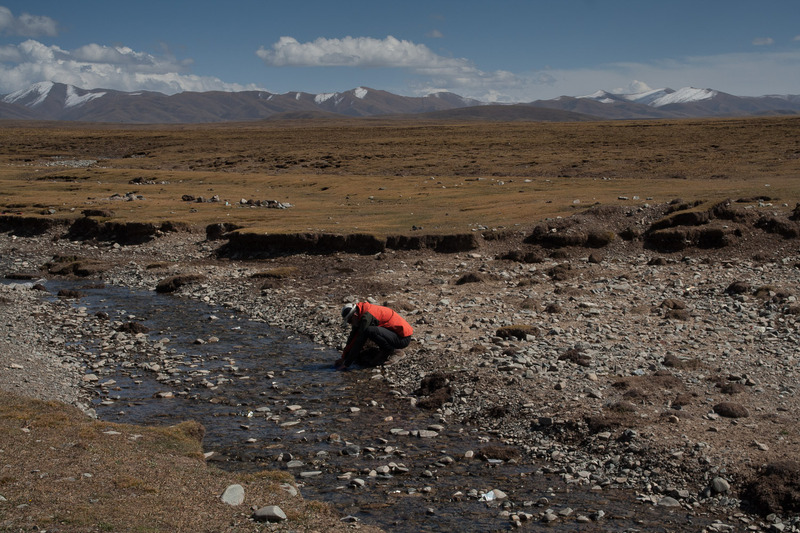 We filled our water bags whenever we could, as it was often unclear when we would find another water source. 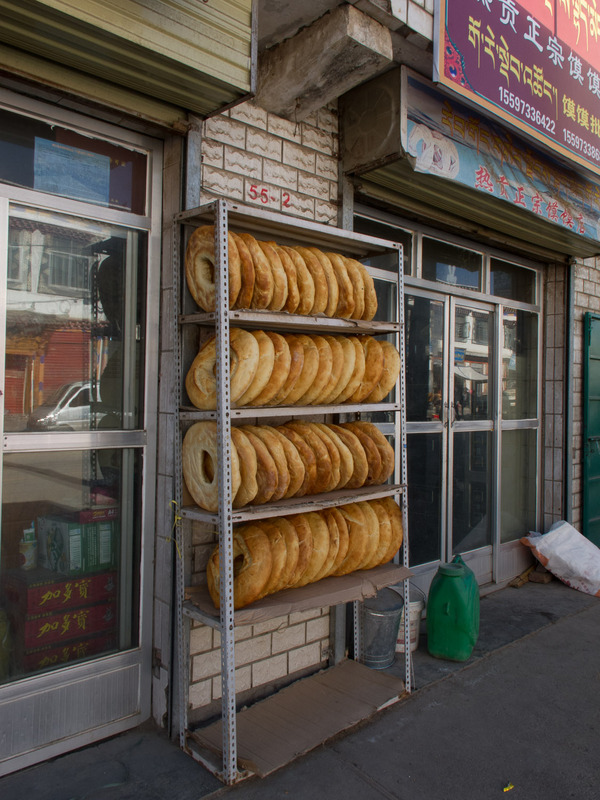 Outside Xining and some larger villages, there is not much available. Sometimes for days on end we didn’t get to a village. The dried vegetables that we brought from home were a welcome replenishment on our diet of noodles and cans of corn. Often a restaurant has a menu with images of the items. It’s not clear if an item is vegetarian, so often we asked, using our cards, for fried vegetables, rice and tofu. The food was always very tasty. Beer was not always available. And if it was, it was not cold and served in any kind of cup but a beer glass. We cycled in September and October. Most nights the temperature dropped to below zero celsius. Often our water supply was frozen in the morning. 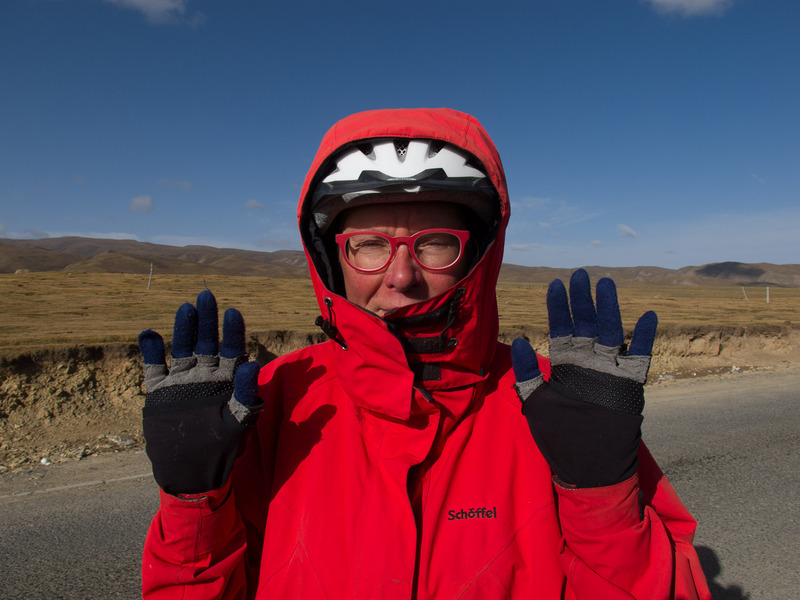 Due to high altitude a dry and cold wind was blowing most days. 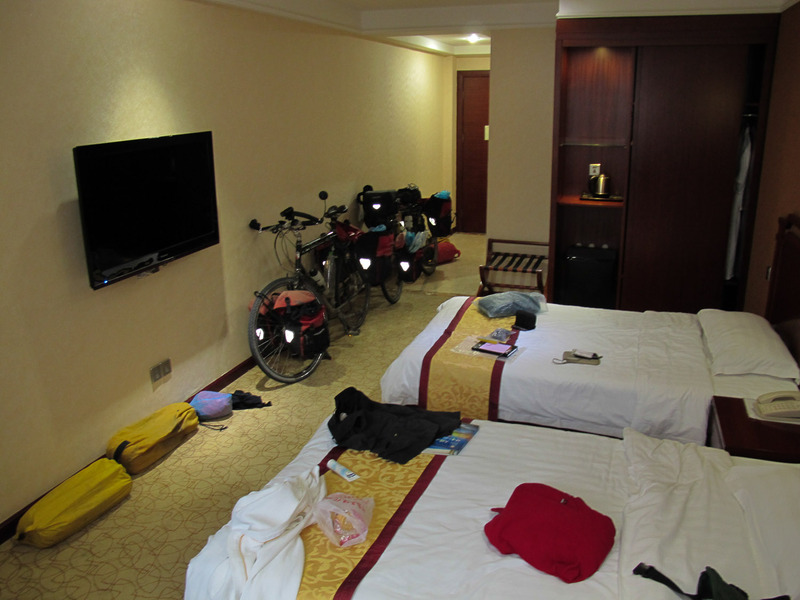 Only in the beginning and the end of this trip, around lower lying Xining, we cycled in shorts and shirt. We arrived at the airport of Xining, some 20 kilometers outside of town. Because of jetlag after long flights from Europe, we arranged to be picked up at the airport for transport to town. Lete Hostal was the only accommodation that replied to our requests for transport. 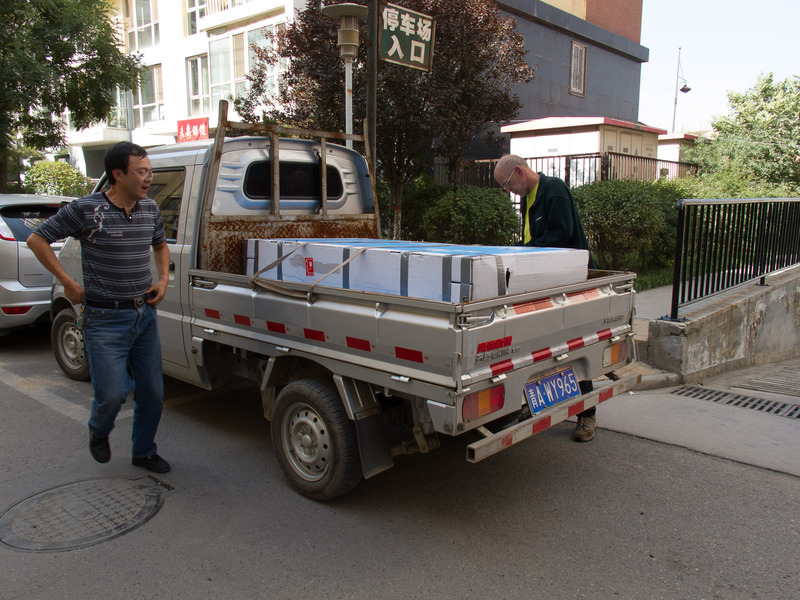 In 2014 the only ATM’s along our route were in Xining, Tongren, Xiahe and Guide. In Xiahe a lot of ATM’s did not accept our VISA-card. It took us a whole afternoon to find the one that allowed us to withdraw money. No campsites in China. You can put up your camp anywhere, just respect the people’s privacy. At the end of the day we just cycled off the road and always found ourselves a nice spot for camping. The next accommodation is always more than a day cycling away, so camping gear is necessary. Hotels you will only find in cities and the larger villages. 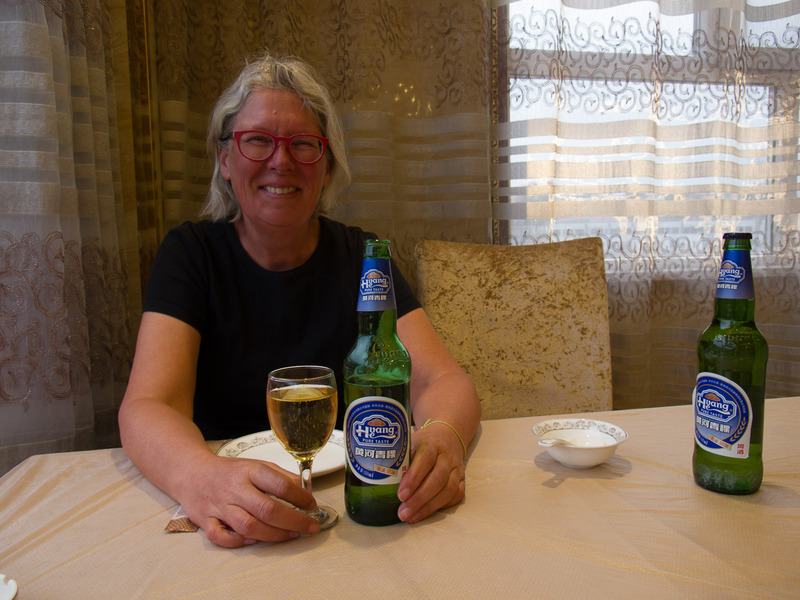 We stayed at a hotel in Xining, Jainzha, Tongren, Xiahe, Zekog, Guide and Taér si. A shower was available, but hot water often only for a couple of hours. Rates vary from euro 12,50 for a simple double room to euro 35 for a double in a ****rated hotel. Buses run the main roads on a regular basis and may take bicycles. No trains on this route.